Ah, the start of a new term – although this means that you won’t have to spend every day arranging group swimming trips or ferrying a hoard of excitable children on an impromptu (and expensive!) trip to the latest summer holiday hot spot it does mean the need to purchase that long list of ‘Back to School’ supplies has crept up again. With uniforms and bits and bobs such as pencils & notepads coming with rather a strict policy there isn’t much room to shop stylishly (we say Tiger all the way for stationary by the way!) but a school bag is something that needs a bit more thought. 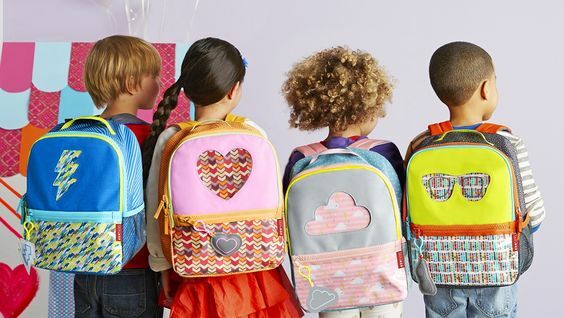 Unlike clothing and shoes, a bag will last the entire school year. It’s the one constant they will proudly wear everyday to school. 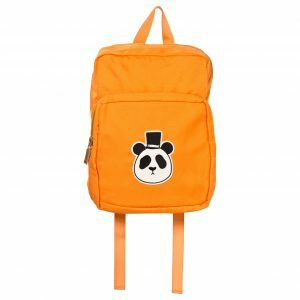 Here are just a few of our favourite school bags to help your child stand out from the crowd and get their homework back home in style! Started in 2008 by Mother & Daughter duo Julie and Freda Deane a Cambridge Satchel Company bag quickly became a fashion must have. 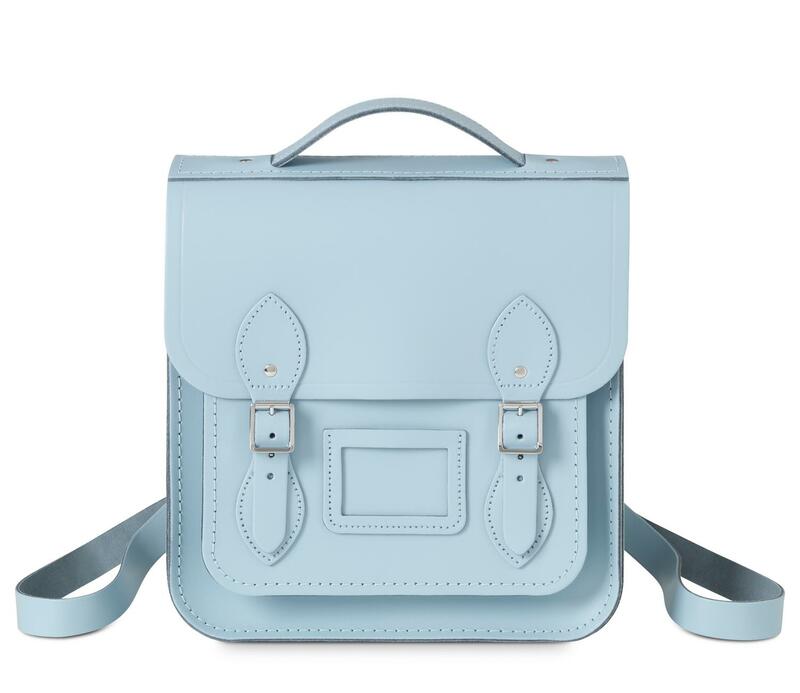 With bloggers obsessing over the bags, and the brand being given a royal stamp of approval (Prince William himself has expressed how much he likes the satchels) there isn’t a better made, cuter school bag option out there! 100% leather and hand made in Britain the bags are made for keeps not just for a school term. We recommend having a look at the smaller bag section – see here. The bags aren’t designed for children specifically, meaning that when the bags get flung at you in favour of the scooter at the school gates they won’t be cramping your style. 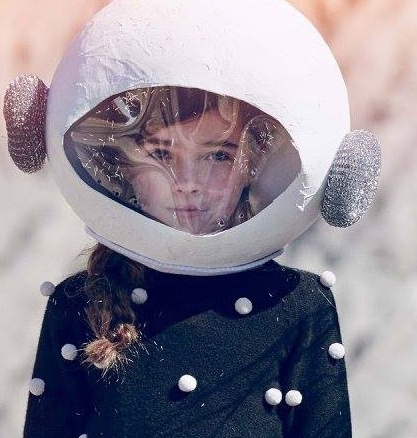 Since it’s conception in 2003 Molo has provided ‘favourites’ in every child’s wardrobe. You know those super cool kids you see around that are dressed head to toe in strong colours, fun prints and bold combinations? Chances are they are wearing Molo. All items are designed to express children’s creativity and personality. A Scandinavian style with prints that are heavy on the charm. Click here to see more of Molo’s bags. 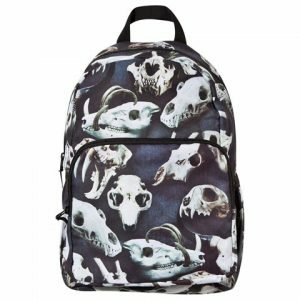 The one shown to the left is the big Animal Skulls backpack currently on sale for 49.95 Euros. 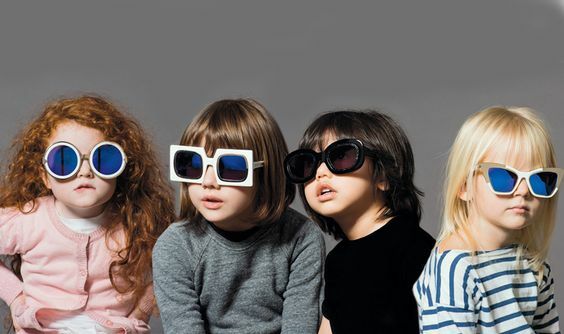 If you can find a cooler brand than Mini Rodini we will be impressed. 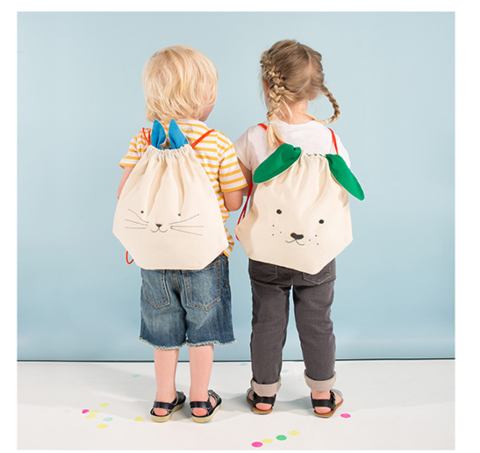 Established in 2006 by the Swedish illustrator Cassandra Rodin every collection has been a fresh take on kidswear. Inspired by horror movies, vintage clothing and her own childhood Mini Rodini is a humorous, creative and unisex brand much loved by those lucky enough to discover it. Cassandra has often spoken of her Grandfather who was a legendary circus performer – known as the Gypsy Prince Carooli Rodini. It is the beautifully wild and playful spirit of her Grandfather and his life in the circus that inspires Cassandra to this day. There is no doubt that any child would be the cool kid at school rocking up in one of these backpacks. Now this is what we call a showstopping bag! I don’t know about you, but this would have been my dream school bag. 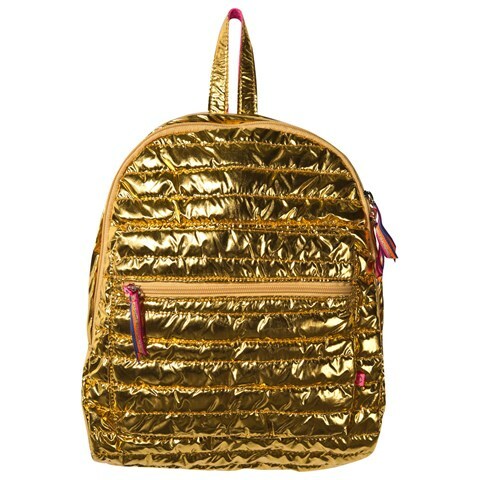 In fact, it’s pretty much still my dream every thing bag. Le Big have managed to blend together the right amount of fun, fashion, colour and sparkle. The designs are comfortable and stylish classics reinvented with graphic prints, bold colours and on trend metallic accents. 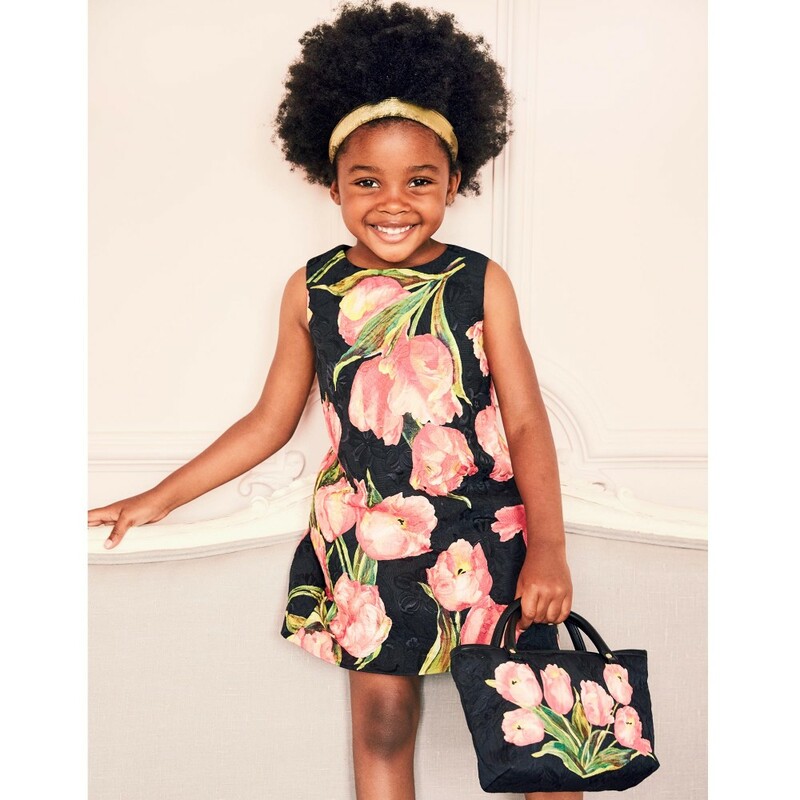 With clothing and accessories for every child and every occasion Le Big has all the bases covered. .
Dolce and Gabbana Kids offers garments as beautiful and as well crafted as the mother house. From amazing mini me pieces that you would see sashaying down the run way to casual kid’s fashion, Dolce and Gabbana Kids gives mini wardrobes a luxurious make over al’Italiana. Although the price tag is high this is a bag that will last a lifetime. Well made and good quality leather, a truly stylish bag for life. We recomend buying yours at Childrensalon where a few from the collection are available. We love the Black and Pink Tulip Brocade Tote Bag selling for a cool £335.00. There is nothing that we love more than boutique brands and Treehouse Kid and Craft is family run and community supported kids shop that we can definitely get behind. 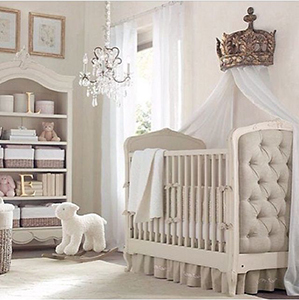 Located primarily in Athens they stock a range of responsibly made items for kids and babies. This sweet 12 x 12 fabric bag is suitable as a school bag for younger children or to be used as a gym bag for the slightly older doggy lovers. Purchase here for a bargain $20.00. In 2009 Herschel Supply and Co. was born. Created by the Cormack brothers and named after the town that generations of their family had grown up in – Herschel in Canada whose population is today counted at thirty residents. Today, the bags are well-known beyond the Canadian borders. Herschel is regarded as a popular global accessories brand that produces well made, quality products with a fine regard for detail. 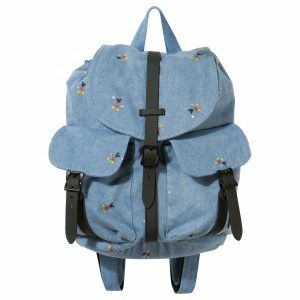 The Herschel Kids collection is every bit as thoughtfully designed as the adults range offering colourful classic Herschel backpacks in smaller form. 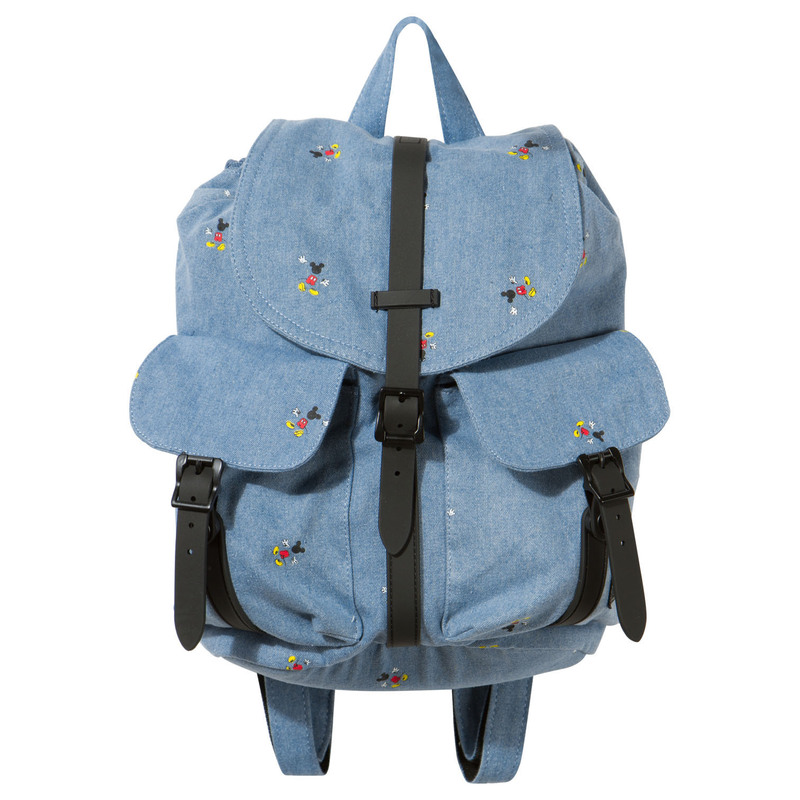 Shop Herschel outlet prices at Smallable here from as little as $69.00. The sure choice for a dapper little gent. Paul Smith’s accidental introduction to fashion came after he was introduced to the work of some of the art greats – Mondrian, Warhol and David Bailey amongst others. It seems that his children’s range is the perfect way for him to stay in touch with the colourful world of ideas and excitement that he was so inspired by. His kids collections manage to transmit a sense of mischief and sense of humour whilst staying true to his love of traditional and classic style. Like all of his designs his bags reflect his character. 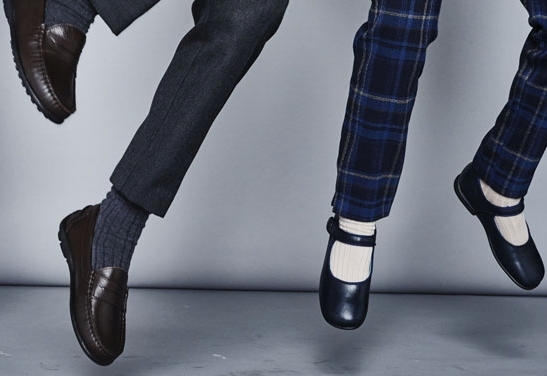 They are unmistakably English, classic designs peppered with unexpected accents. 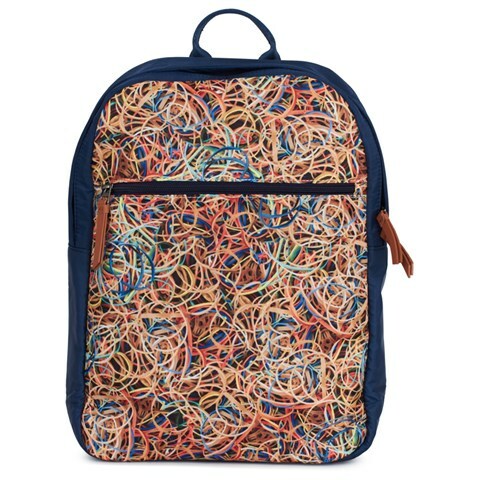 We love this elastic band print bag. 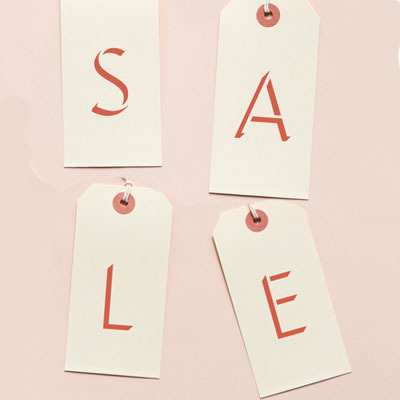 Get it now at Alex and Alexa for under half price!